The Department of Chemical and Biological Engineering (CBE) is celebrating two faculty members who have been named recipients of university awards. Associate Professor Eric Cochran has been named to receive the ISU Award for Achievement in Intellectual Property. It honors faculty members who have made important intellectual property contributions at the university, preferably leading to patents and licenses. The significance of the intellectual property is demonstrated by its being licensed and used by industries both within and outside of the state of Iowa. R. Christopher Williams, Gerald and Audrey Olson Professor in Civil Engineering, who worked in partnership with Cochran in developing Iowa State’s Bio-Polymer Processing Facility at the university’s BioCentury Research Farm, will also receive the award. Cochran, who is also the department’s director of graduate education, focuses research on polymeric systems and polymer chemistry. He was the driving force behind the recent launching of the department’s Small Angle X-Ray Scattering (SAXS) device in Sweeney Hall, which will aid not only chemical engineering research, but research by other departments and other universities. Cochran received his B.S. in chemical and biological engineering from Iowa State in 1998. Cochran will also achieve the rank of full professor in August of 2018. 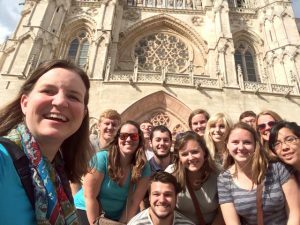 Professor Loveland is one of the organizers and faculty sponsors of CBE’s annual Oviedo, Spain Summer Lab Experience study abroad program. 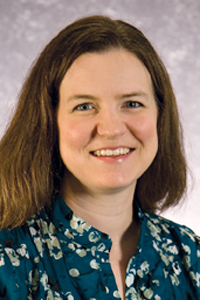 CBE senior lecturer Stephanie Loveland has been named a recipient of the Award for Outstanding Achievement in Teaching. It recognizes faculty members for outstanding teaching performance over an extended period of time. 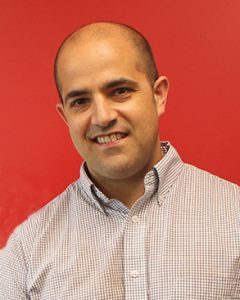 Loveland has been a part of the department’s faculty since 2002. She received her B.S. (1998), M.S. 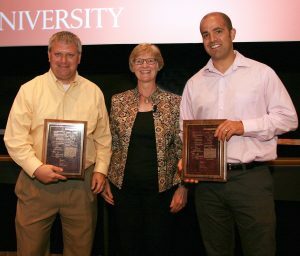 (2002), and Ph.D. (2008) in chemical and biological engineering from Iowa State. She teaches chemical process safety and oversees undergraduate chemical engineering lab course work, and is the chair of the department’s safety committee. She is one of the organizers and faculty sponsors of the department’s annual study abroad program in Oviedo, Spain. 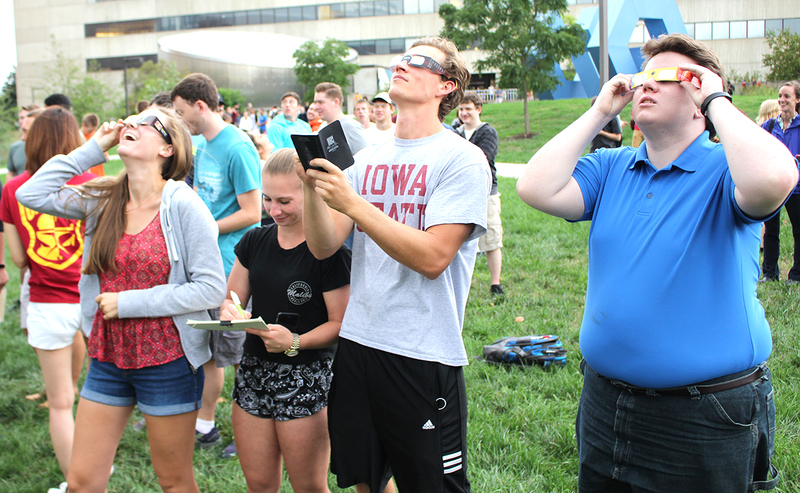 She is also the faculty adviser for the Iowa State student chapter of the American Institute of Chemical Engineers (AIChE). The awards will be conferred in the university awards ceremony is September, 2018. For a full list of award recipients, click here. Cochran is shown with James L. and Katherine S. Melsa Dean of Engineering Sarah Rajala and CCEE Gerald and Audrey Olson Professor in Civil Engineering R. Christopher Williams when they were awarded for a patent received in connection with the ISU Bio-Polymer Processing facility. The two professors spearheaded the plant’s development. During the solar eclipse at the start of the fall 2017 semester Loveland turned the event into a class assignment and had students observing and recording information outside Sweeney Hall.